BrightData saves you significant time obtaining and processing reanalysis datasets. 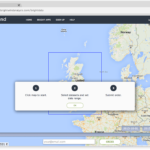 It is a web application providing reanalysis datasets in minutes through an easy-to-use interface. The delivered data is assembled and conveniently formatted, so no post-processing is required to use in analysis software. 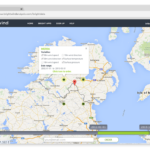 BrightWind developed this web application out of our own need for reanalysis datasets. 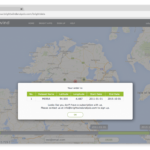 Using the map interface datasets are easily found and the data is delivered in minutes. 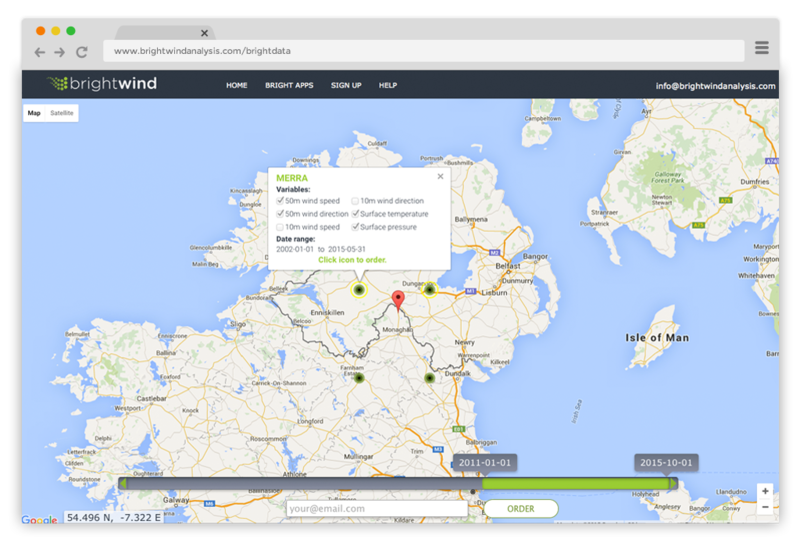 BrightData is for wind analysts who require long term reference datasets without the hassle. 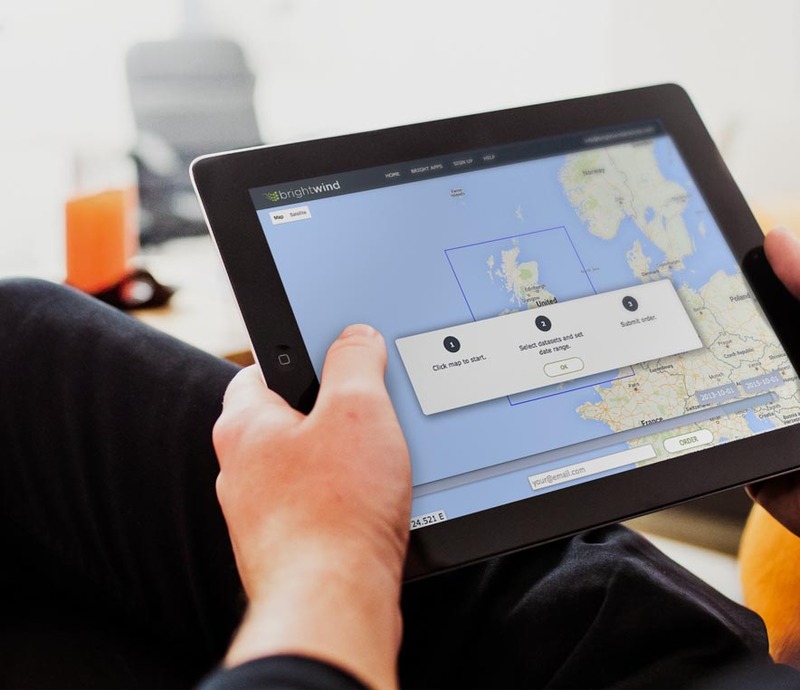 Sign up for a free trial and experience the benefits of BrightData immediately. 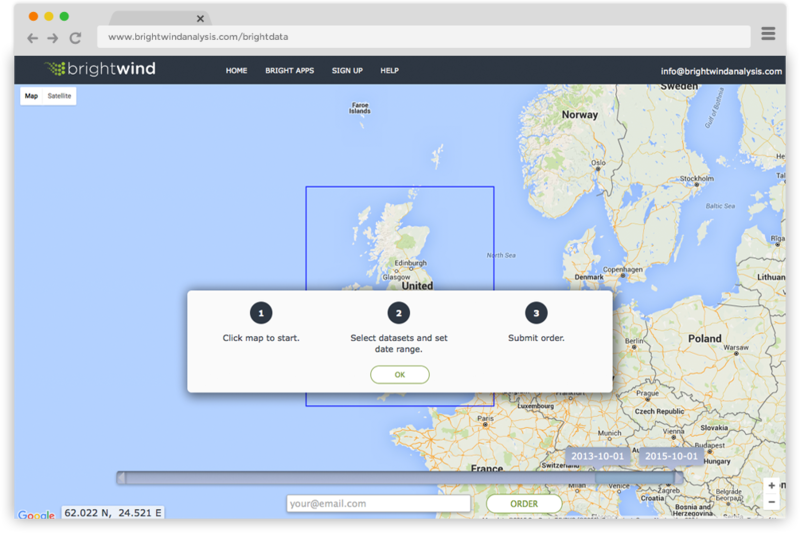 BrightData currently supplies MERRA-2 re-analysis dataset for variables 50 m wind speed, 50 m wind direction, temperature at 2 m and surface pressure. Dataset temporal range is from start 2002 to most recent published data. BrightData covers most of Europe and is expanding. 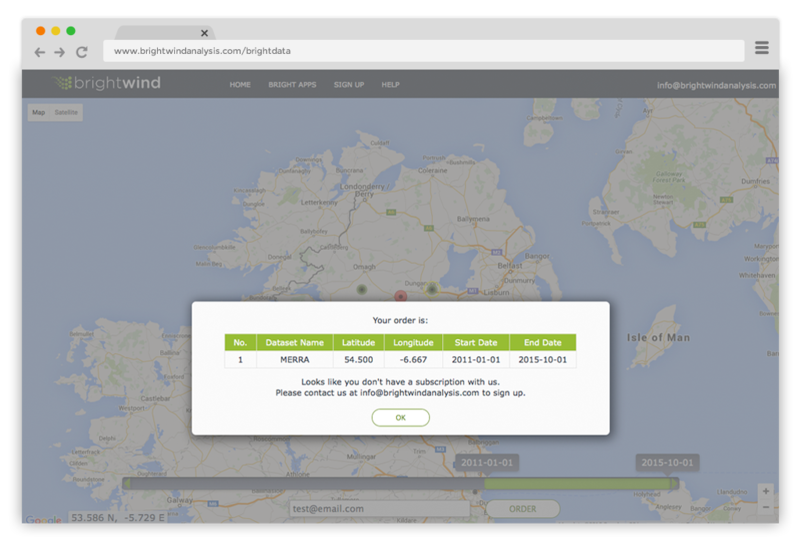 BrightData’s only processing of raw data is converting U and V vectors into wind speed and direction. BrightData is optimised for desktop and laptop use. Modern browsers are recommended when using the app. To find out more please check the HELP section of the application.